Mickey. Goofy. Stitch. Elsa. Belle. Aladdin. Listen, we love these characters as much as the next Disney fan! And we think they deserve all of the love they receive. But isn’t there enough love to go around? 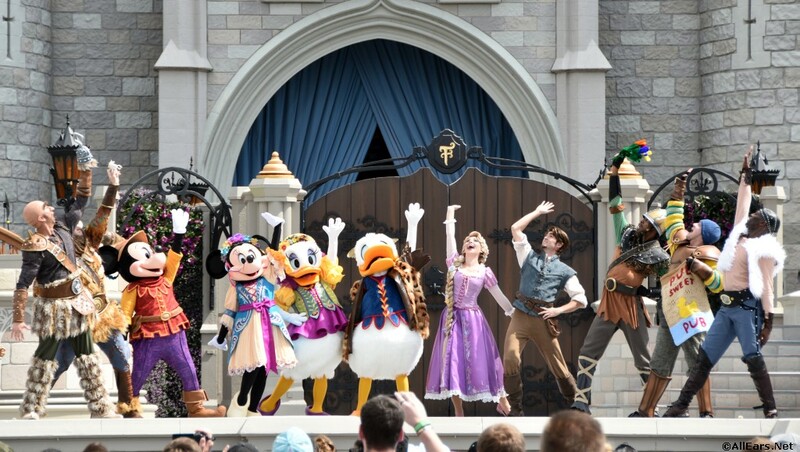 There are a lot of great Disney characters that don’t have attractions or even a role in the Castle show! It’s about time they got the respect they deserve. Here are six of our favorite underrated characters that we’d like to see get more respect. When the movie first premiered, Hercules had his own parade but now…now, he’s vanished! Sure, he pops up at a special event every now and again, but he’s a Greek God! He should be more than just a seasonal character at runDisney events. Hercules is a pretty underrated movie in general, and we’d love to see the hero out and about again on a regular basis. Maybe they add a Greece Pavilion at Epcot (which would be awesome for so many reasons), and they could have a character meal with Herc, Meg, Hades, and Pain & Panic. He could at least be in a parade — he can go from Zero (presence in the park) to Hero! This smooth-talking, rogue tomcat from The Aristocats deserves some respect! He’s funny, he’s suave, and honestly, he’s good looking for a cat. He could meet guests in the France Pavilion with Marie! I know I’d get in line. You know what deserves respect? Saving a child from their captor. You know what REALLY deserves respect? Doing it twice. That’s what Bernard and Bianca do in The Rescuers and The Rescuers Down Under. And do they have a presence in any of the U.S. Disney parks? No, they do not. How fun would an attraction be where you fly on Orville or Wilbur’s back? Or at least bring Bianca out so she can give me fashion advice. Not only did the Piano Man voice the character, but he sings one of the most underrated Disney songs ever, “Why Should I Worry?” And frankly, we’re WORRIED that Dodger isn’t present anywhere in Disney World. P.S. Bette Midler voices a spoiled poodle named Georgette in this same film. Honestly, we just need more Oliver & Company. Mulan does have the most presence in the parks on our list, but still, it’s not enough. I mean she saved China! Doesn’t Mulan deserve more than a simple meet & greet? It would be fun to incorporate Mulan (not to mention Mushu and Shang) into a meal at Nine Dragons! A dumpling with a side of meeting my favorite warrior princess? YES, PLEASE! The Emperor’s New Groove may be the most underrated Disney movie of all time. It’s super funny, especially for adults, and it has incredible characters voiced by incredible actors. But for some reason, it doesn’t get very much love! We’d love to see Kuzco, Kronk, Pacha, and Yzma around the parks. Honestly, I’m not even picky as to how, but if I were to really dream… it would be a roller coaster like the one Yzma and Kronk take to her secret lair. What do you think — who are the most underrated characters that deserve some respect? Let us know in the comments! Characters from hunch back of notre dame. They had musical at MGM Studios but nothing now. Most of the Sword in the Stone characters have been lost in time. Merlin appears now and then, but don’t think I’ve ever seen Mad Madam Mim or Wart.